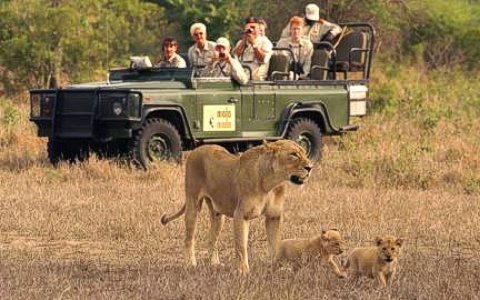 South African Safaris are known to be the best when it comes to the ultimate safari experience. Many consider a safari as a lifelong dream while an African Safari can take many forms depending on the package that you choose as well as your requirements and likings. From a luxurious camping getaway to a remote escape in a bush camp, the options vary and are available to suit your taste and budget. Here’s how you can make the safari a perfect experience. Choosing a National Park in Africa – It is estimated that South Africa has over 600 parks and reserves while you can choose one accordingly to your liking. From guided safaris to self driving experiences, you can set out and explore the great outdoors. Some of the well known parks are the Kruger National Park, the Masai Mara National Reserve, Chobe National Park, the Bwindi Impenetrable Forest, Etosha National Park, the Okavango Delta and the Hwange National Park etc. When you should go – It is advisable that for wildlife watching and experiencing the ultimate safari, winter is the ideal season in Africa. This is from June to September and there will be many lifeless trees and shrubs which will make it easier for you to spot the animals. Animals will also be out in the open due to the scarceness of food and water. However, if you want to see more greenery and lushness the African Summer months from December to February are ideal. You have to note however that animals might be harder to spot due to the thick overgrowth of the bushes. Choosing a Private Reserve if You May – for the ultimate luxurious safari experience, then you should choose a private reserve. If you are willing to spend some money you can enjoy a number of customized services and a luxurious camping trip with less crowds that will help you in a once in a life time experience. 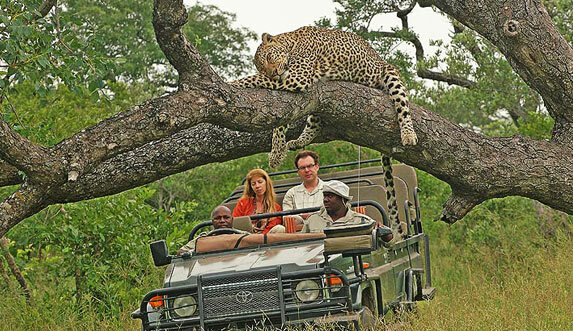 Making Use of a Guide – If it is your first time enjoying an African Safari then you should consider hiring a guide. There are packages that offer you guided tours and you can easily book these online. You do not have to wonder aimlessly and try hard to spot a leopard hiding far away. The guides at these National Parks have years of experience and you may be surprised as to how much you will learn from them. You can choose either to Drive or Fly – Flying to a National Park will save you time and there are local flights that will easily fit in with your itinerary. However, in Africa, outside these National Parks are a number of beautiful sights that you should not miss. Therefore, even though a drive might take your time, it will surely offer you a beautiful experience. Always Pack what you Need – Clothing, binoculars, cameras etc should all be in your list of essentials. You cannot expect the guide to provide you with these. Melissa Welsh is a web engineer, freelance content writer and a professional blogger. She loves to explore her content writing skills in various fields such as business, SEO, health, fashion and travel. At the moment she is writing some interesting articles about self drive Namibia.